The Entomology Curriculum involves multiple scientific fields of study. The first two years are spent taking basic and advanced courses in biology, chemistry, physics, and math in addition to other UGA core requirements. During the junior and senior years, students take 16 hours of entomology courses. Students have considerable freedom in choosing additional courses of special interest (Major Electives) depending on their personal future goals. To fulfill their Major Electives students will register for 29 hours of coursework from a selection of over 30 departments in 6 colleges and schools. Faculty members teach all Entomology courses and are assisted by graduate students in our entomology labs. Most of the Entomology classes have a lecture format and are typically small in size (less than 30). Students have the opportunity to earn course credit by participating in research projects with Entomology faculty and can present their findings to peers and other faculty by participating in the Center for Undergraduate Research Opportunities. Students are eligible for competitive funding for research projects through the CAES Undergraduate Research Initiative. Entomology students can gain practical experience and problem solving skills through internships, which are an integral part of the Entomology degree program at UGA. The entomology major is a thorough, science-based, applied biology curriculum that prepares students for careers in almost every life science field, including Molecular Biology and Biotechnology, Systematics, Ecology, Environmental Biology, Vector Biology/Medical Entomology, Insect Pest Management and Urban Entomology. 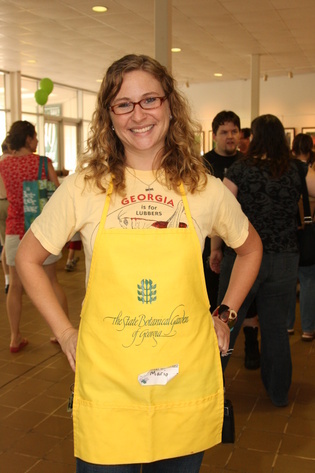 In 2006 an undergraduate service-learning course was developed to address the increased demand for educational events, and the UGA Insect Zoo was born. The UGA BugDawgs, along with the student club, annually lead hundreds of events reaching around 20,000 Georgians with a focus on educating the young and old about insects and other arthropods. Entomology graduates are employed in all levels of government, industry, and education as evidenced by this sampling of job titles held currently by our former students. Learn about opportunities in the private and public sector. Have questions? Fill out the request information form for more information on entomology undergraduate programs. In addition to college and university awards, a limited number of scholarships are available on a competitive basis to entomology undergraduate majors. In order to be considered for an entomology undergraduate scholarship, students should write a one page essay on your career goals and objectives and how a departmental scholarship will help you achieve this. Send essay to undergraduate coordinator Marianne Shockley.